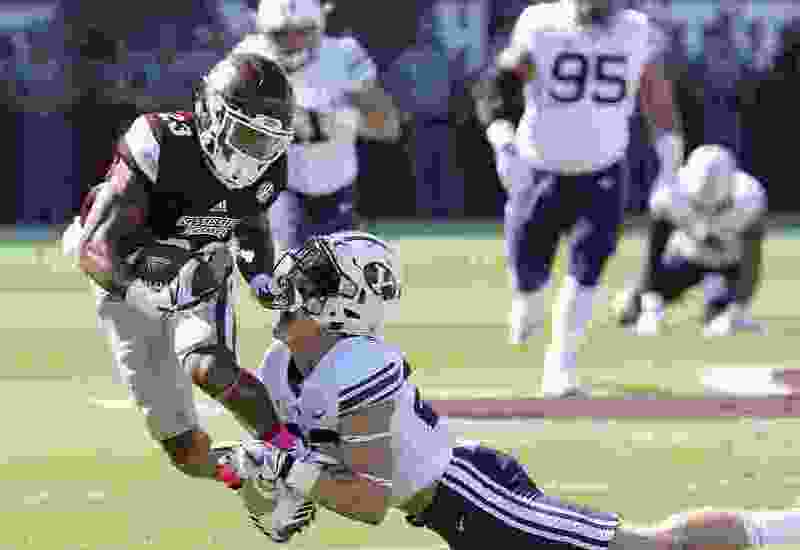 Provo • Nobody on the current BYU football roster can adequately replace outside linebacker Fred Warner, one of the best defensive players in program history. But Zayne Anderson is going to give it a try. Yes,we’re talking about that Zayne Anderson, the 6-foot-2, 205-pound senior who played safety last season and was the fifth-leading tackler on the team with 61 takedowns. In one of the surprise moves of spring camp, which began Monday, Anderson has been taking reps at the “flash” linebacker spot that Warner played so well the past few years. Warner recently participated in the NFL Combine in Indianapolis and is expected to be selected in April’s NFL Draft. One of Warner’s backups last year, redshirt senior Morgan Unga, is injured and not yet participating in spring practices. Another backup, freshman Chaz Ah You, departed on an LDS Church mission. So coaches are taking a look at Anderson, freshman returned missionary Hirkley Latu, junior Riggs Powell and redshirt sophomore Colin Tompson a walk-on from Navajo Pine High in Crystal, N.M. The other possible changes include moving cornerbacks Dayan Ghanwoloku and Troy Warner to the safety positions (when the younger Warner returns from a foot injury) and defensive end Sione Takitaki to boundary linebacker. Anderson said he needs to gain about 10 pounds to play the position. Coaches envision him to be more like a third safety on the field although he’ll line up like a linebacker. Whichever position he plays, Anderson said his goal is to get four interceptions and lead the team in tackles, as Fred Warner did last year when he recorded 87 tackles, including nine for loss. Anderson had two interceptions last year and forced three fumbles. He said the offseason changes coaches made to install more accountability and discipline into the program after the 4-9 season in 2017 are slowly taking shape.